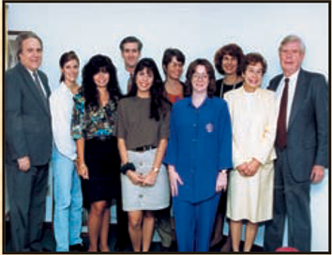 The Peace Education Foundation began in the minds and hearts of two dedicated teachers intent on making a difference. 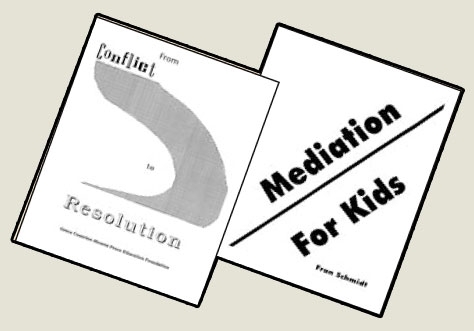 Grace Contrino Abrams and Fran Schmidt, both long-time teachers and peace activists, begin incorporating conflict resolution principles and practices into their classrooms’ curricula. Peace Education is born. Grace and Fran collect and publish a number of their conflict resolution lessons for the classroom. After Grace passes away in 1979, a small group of like-minded individuals officially founds the Peace Education Foundation as a non-profit organization and forms a board of directors. 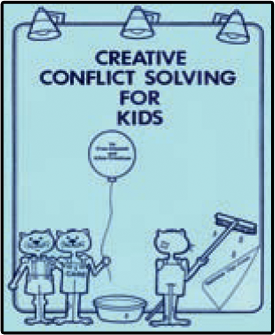 With the help of her friend and colleague Alice Moffatt-Friedman, Fran publishes the first of what will become the official Peace Works curricula, Creative Conflict Solving for Kids. The Foundation opens its first office in space donated by the Miami YWCA. The Foundation honors its first Peace Teacher and Peace Administrator of the year, and the winners of its first Peace Essay Contest, at its first Annual Awards Luncheon. A small group of board members meets each Friday to manage all tasks, from answering phones to bookkeeping to shipping. The Foundation hires its first full-time professional staff. 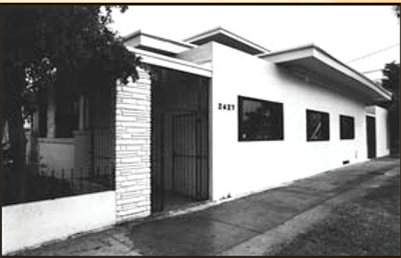 The Foundation purchases its first headquarters at 2627 Biscayne Boulevard. The Foundation hires a full-time editor, public affairs coordinator and training coordinator. The Foundation develops its first training model, providing teachers and other youth professionals with in-depth background in conflict resolution and peer-mediation. The Foundation completes its most ambitious curriculum to date, WinWin! 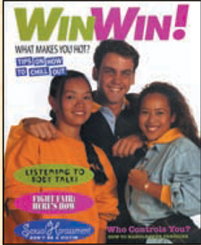 This high school unit includes a full-color “magazine” and a full-length video. 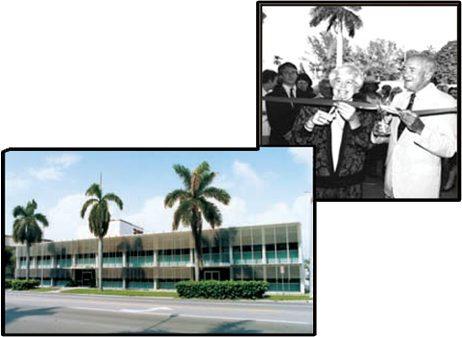 With a full- and part-time staff of more than 20, the Foundation outgrows its original building and moves to 1900 Biscayne Blvd. The building includes offices, training facilities and shipping. The Foundation hires a full-time graphic artist, and the training department expands to three full-time trainers. The Peace Education Foundation forms a partnership with Jamaica’s school system. The Foundation’s materials are placed in all of the country’s elementary schools. 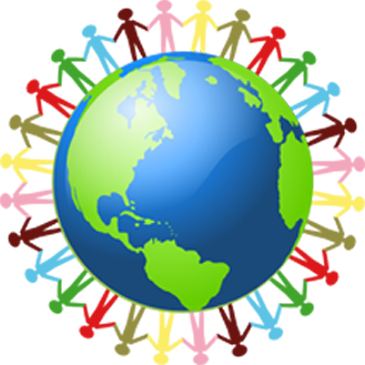 The Peace Education Foundation becomes a non-governmental organization (NGO) in special consultative status with the Economic and Social Counsel of the United Nations. 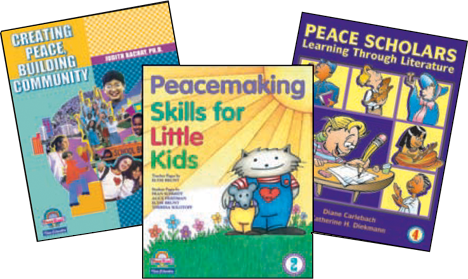 With completion of new grades one, two, three, six and seven curricula, Peace Education Foundation becomes one of only a handful of providers to offer grade-specific conflict resolution curricula. Maintaining its position on the leading edge of conflict resolution education, the Foundation publishes a white paper detailing the research-based effectiveness of its model. Continuing its work in Latin America, the Foundation forms new partnerships with Colombia and Costa Rica. In Costa Rica the Peace Education Foundation Program is adopted legislatively on a nation-wide basis. The Governor’s Safe and Drug-Free School’s Grant provides training and materials for Miami-Dade county Regions VI schools in Homestead and Florida City. We provide training and materials for Miami Inner City Catholic Schools, funded by a Koch Grant. We publish Creating Caring Children for parents and professional caregivers, extending our scope beyond school-age to children from birth to age three. Helping, Not Hurting: Teaching the I-Care Rules through Literature provides in-depth instruction specifically for Kindergarten classes. 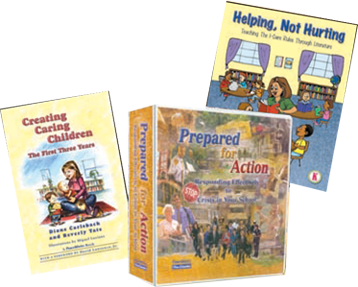 Prepared for Action: Responding Effectively to Crisis in Your School provides schools and districts with a comprehensive manual for addressing any critical event. Allegany Franciscan funds continue the work in Region VI, expanding to the Redlands Migrant Christian Association, and underserved communities in and around Palm Beach County. An Adrian Dominican sisters grant begins a three-year program of trainings throughout Latin America. We publish the Spanish version of Creating Caring Children. 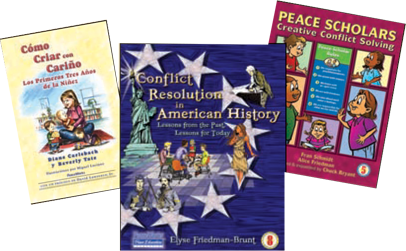 One of our earliest books, Creative Conflict Solving (for grades 5-9), enters the Peace Scholar series as it gets a total workover with revised and expanded lessons, and a completely new visual style. Eighth grade gets its own grade-specific resource, Conflict Resolution in American History: Lessons from the Past, Lessons for Today. Funding from The Children’s Trust, in collaboration with Miami Dade Child Development Services, begins a ten-year broad-based training program using Peacemaking Skills for Little Kids, Helping, Not Hurting, and Creating Caring Children in early childhood centers that impacts thousands of teachers, parents, and children in Miami-Dade County. The Adrian Dominicans provide a Grant for a collaboration with the Confederation of Dominican Sisters in Latin America and the Caribbean (CODALC) to establish Dominican Peace Schools in Latin America. The initiative reaches over three thousand teachers in Guatemala, Dominican Republic, Venezuela, and Argentina. The Allegany Franciscan Grant initiative begins a two-year training program (2006-2008) impacting urban Catholic schools in Miami-Dade County that serve at-risk children and youth. 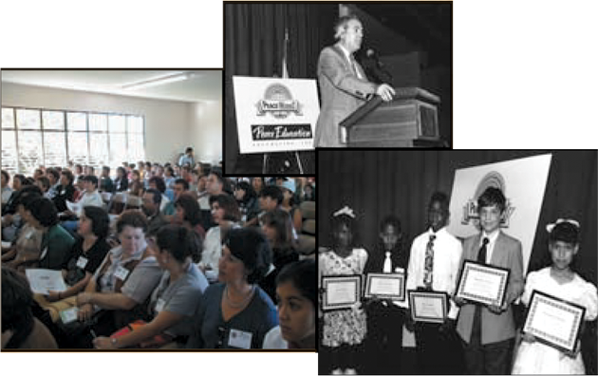 The Adrian Dominican Gendron Grant for Education in Florida brings Peace Education to 45 schools and over 1,300 teachers throughout Florida over a three year period (2007-2010). In 2008, after post-election violence erupts in Kenya, valuable training in peace and reconciliation reaches hundreds of teachers in Eldoret. With USCCB grant funding, continued training is expanded to Chile, Peru, Bolivia, Argentina, and Poland where several PeaceWorks books are translated into Polish for the first time (2009-2010). USCCB Grants continue to expand valuable violence-prevention training efforts in Colombia, Mexico, Argentina, and Dominican Republic. South African teachers and pastoral ministers working with youth are trained in essential conflict resolution skills in Johannesburg (2013). Peace Education Foundation sells its headquarters building and establishes an endowment to assure its future sustainability (2014). Peace Education Foundation moves its headquarters to a new home at Barry University in January 2016 beginning a new chapter in its history. A collaborative partnership is established with the Javeriana University in Bogota, Colombia to contribute to the peace accords. 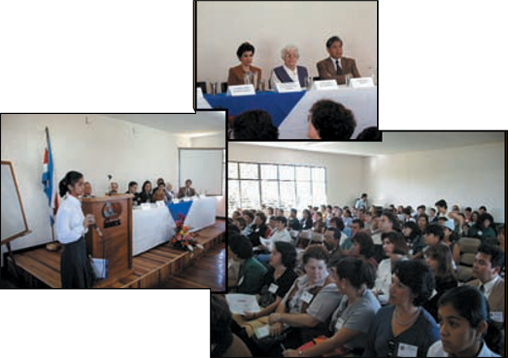 Peace Education courses and Seminars addressing the Post-Conflict and Reconciliation process in Colombia are initiated. USCCB Grants expand our Africa outreach to teachers and schools impacted by violence in Kenya and Rwanda in 2017. The Adrian Dominican Ministry Trust Grant continues to expand training to hundreds of teachers from underserved communities in the Dominican Republic and Argentina.